Conditions that weaken the heart muscle and its pumping action can cause congestive heart failure (CHF). If the diminished function of the heart worsens, the signs and symptoms of CHF become more severe. In the final stage, when the heart is no longer capable of pumping enough blood to the body, dying from congestive heart failure is the result. According to MedlinePlus, when the heart cannot pump blood effectively, the blood backs up in areas of the body. This causes fluid congestion in various tissues and compartments in the body. There is no cure for CHF so, as the disease progresses, signs and symptoms get worse and other organs start to fail. With congestive heart failure, death can follow the more severe final stages. To grade the increasing severity of congestive heart failure, doctors use the New York Heart Association class I to IV or the American Heart Association/American College of Cardiology stages A to D.
In the initial, mild stage A, there are underlying high-risk factors for CHF such as smoking or high blood pressure. However, the affected person has no symptoms or limitations at rest or with physical activity and there are no signs of CHF on evaluation by a doctor. In stage B, the person develops mild symptoms of fatigue, shortness of breath, or heart palpitations with routine physical activity. There are minor signs of heart dysfunction on a doctor's evaluation. There might also be a mild, intermittent collection of fluid, known as edema, in the ankles and feet. Other possible symptoms might include more visible edema of the lower extremities and the hands might also swell as the fluid congestion in body tissues increases. Shoes and rings might be tighter. The pulse might become weaker because of the struggling heart. By stage D or advanced CHF, a person progresses toward death as her heart failure gets worse. Despite treatment, symptoms are severe even at rest and any physical activity makes them worse. At this stage, the function of the heart and lungs is severely compromised. The affected person can begin feeling anxious, restless, unable to sleep, and loses her appetite. She has to keep her head elevated on pillows or sleep upright in a chair. The person can become more and more confused and disoriented, exhausted and weak as CHF death nears. There is weakness, fatigue, and severe shortness of breath at rest, as well as increasingly shallow, difficult, labored breathing. 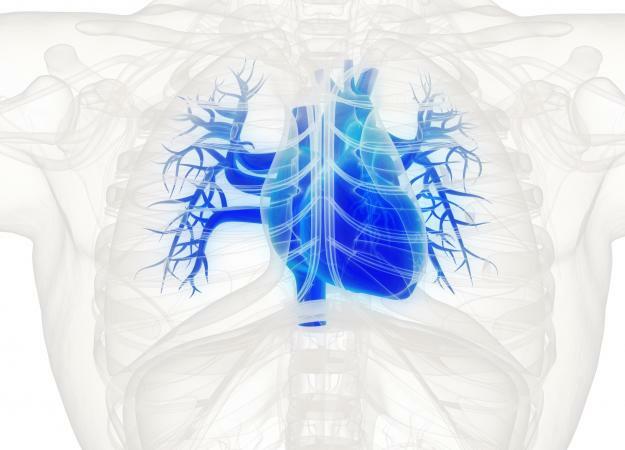 Respiratory distress progresses as the lung tissue becomes more and more congested with fluid. She might have wheezing and chronic cough with spitting up phlegm because of fluid in her lung sacs. Rattling in the chest with each breath can occur as death approaches. The heart might be enlarged, the rate faster than normal, and the pulse weaker because of the exhausted heart. There is marked, persistent edema of the feet, ankles, legs, and thighs. The hands and face become more swollen with fluid. The abdomen gets bigger and bloated from fluid collection inside the belly. Weight gain of three or more pounds a day occurs because of the increased fluid retention. Electrolyte levels become abnormal and contribute to the cause of death. The urine becomes concentrated and dark and urine output decreases and stops as the kidneys fail. As death nears it the doctors will find it more and more difficult to get rid of the excess fluid in the lungs and belly, and around the heart. The extra load on the diseased heart leads to complete heart failure and death. Some people might also die suddenly because of an irregular heart rhythm. Fluid restriction: In the early stages if the person is still able to drink, she is restricted to about four glasses a day otherwise her IV fluids might be kept low. Doctors might consider a pacemaker or heart transplant if appropriate. As the disease advances and symptoms get worse, doctors might continue to remove fluid from the belly to improve comfort. When treatment options no longer work, and the person gets near to death, management is geared to making her feel comfortable. 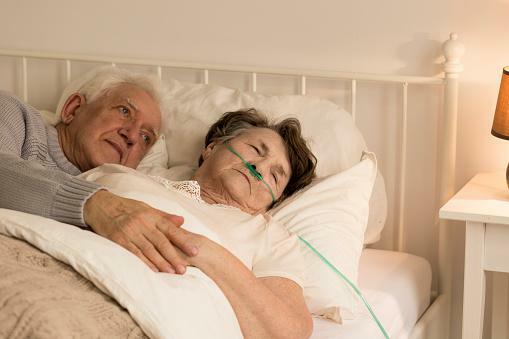 According to the American Heart Association, the patient and family should consider the need for palliative or hospice care ahead of this juncture. Congestive heart failure is one of the leading causes of death in the elderly and is not curable. The best course is to avoid or treat early known causes of the disease to prevent or limit damage to the heart. See your doctor if you notice early signs that might indicate CHF such as shortness of breath or fluid in your legs.